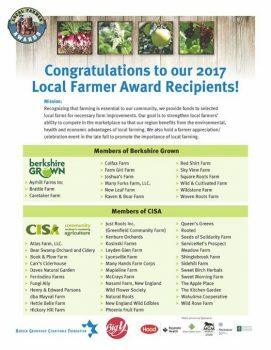 Now in its 3rd year, the Local Farmer Awards program is helping farmers welcome the growing season with funds to make infrastructure improvements to expand their businesses, compete in the marketplace, and continue to provide the health and environmental benefits of local farming. The Awards are possible due to the generous support of two partners: the Harold Grinspoon Charitable Foundation and Big Y. In addition, community sponsors are HP Hood LLC, Baystate Health, Farm Credit East, MGM Springfield, Springfield Sheraton Monarch Place, and the Community Foundation. A complete list of award winners. The projects, soon underway, will provide support to farmers throughout the growing cycle. A highly motivated group, the farmers are paying on average of over 51% of the cost of the projects – and they are eager to move forward. The awards help fund everything from seeding, cleaning, storing and packaging, to selling. 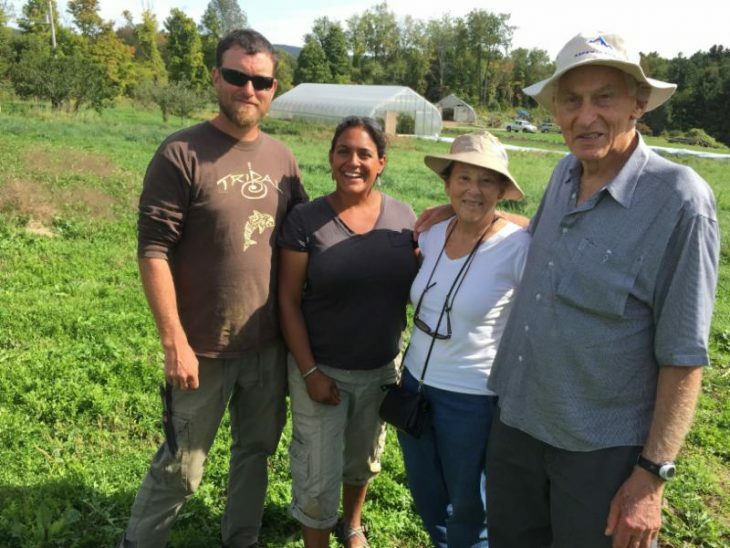 The variety of what is produced on the recipient farms – milk, vegetables, eggs, meat, maple syrup, and more – represents a slice what is grown in Western Massachusetts. A farmer appreciation event will be held in late fall for over 100 applicants and award recipients to recognize farmers and promote the importance of local agriculture.